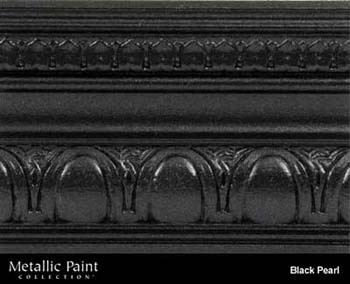 Paint Store :: Shop by Brand :: Modern Masters :: Metallic Paint Collection :: MODERN MASTERS ME700-06 BLACK PEARL METALLIC PAINT SIZE:6 OZ. MODERN MASTERS METALLIC PAINT 92028 ME-661 TEQUILA GOLD SIZE:6 OZ. VARATHANE 12951 211730 DARK WALNUT 269 OIL STAIN SIZE:QUART. WHIZZ 44216 GECKO POLYESTER ROLLER SIZE:6" X 3/8" NAP PACK:10 PCS. KRYLON 2332 SPRAY FUSION FOR PLASTIC SUN DRIED TOMATO SIZE:12 OZ. SPRAY PACK:6 PCS. 3M C31 OCELO LRG COMMERCIAL SPONGE PACK:24 PCS. MINWAX 13200 HIGH GLOSS HELMSMAN SIZE:1 GALLON.